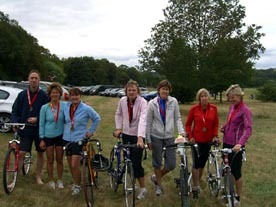 Well done to the three Mel’s Milers who took the plunge in this year’s local triathlon relay. Anna, Clare and Victoria – we admire your bravery in getting into that cold, murky lake. Glad you made it to the other side !